This is day 7 in my California tour. Between Yosemite, San Francisco and now Los Angeles I have had a great chance to meet Giants fans from all over. What has been especially gratifying is the opportunity to speak with some very knowledgeable, engaging and committed fans who have followed the team for decades and who live across the Golden State and the nation. In each of these conversations there is a sense of wistfulness, the implicit belief that we are experiencing the end of the Giants Golden Era. Make no mistake, from 2010 to 2014 the San Francisco Giants had one of the greatest runs in the history of Major League Baseball. Eventually I will address specific roster decisions, the performances of players like Joe Panik, Madison Bumgarner and Buster Posey; the injury issues, the bad contracts and the next General Manager but for now I want you all to know that none of the fans I spoke with at Willie Mays Field and during my travels, will stop loving the team or have given up. Then there was that Saturday game against the Dodgers… Then the Sunday game… If there is one good thing that can come out of the series sweep in which the dastardly Dodgers invaded our park and humiliated our depleted baseball club it is that it should leave the front office and ownership with an aggravated sense of bitterness and rage that will put an accent on the season’s failures and provide us all with a mean reminder of just how bad the Giants have been since the balk-off game of 2016 in San Diego. Even sitting through the carnage of the past weekend could not lessen my joy. Watching a game at our park is still a preternaturally exquisite experience and I did love almost every minute of it. Let’s remember we have the greatest ballpark in the land and going to see our Giants play there is always a pleasure, even when they are no longer World Series Champions. Another October without the Giants… it’s like the feeling of having that old flame without whom life was a barren tragedy of Sartrean angst….finally making and taking the next step to live beyond your emotional milky way…. It hurts. 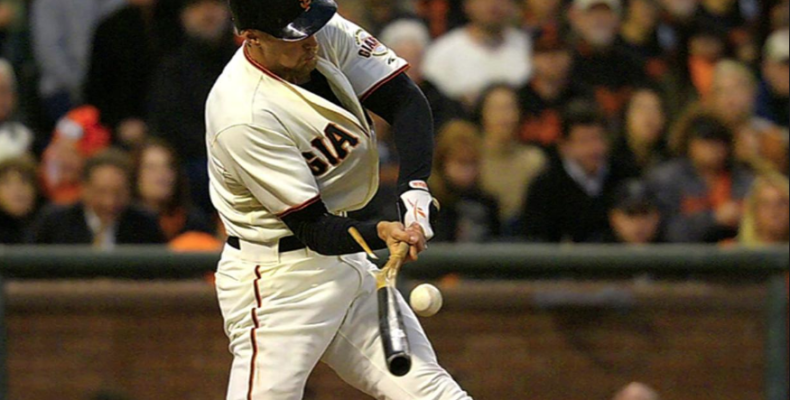 Au Revoir Hunter Pence! I will never forget your pregame speech before game 3 of the 2012 NLDS in Cincinnati. The Giants should find a way to keep Pence in the organization. In the next few weeks I will be providing detailed statistical analyses of this past season because I just cannot let go. Together We’re Giants will also be addressing the GM Search and providing more stats than ever. In other news the Giants are moving up weekday home game start times to 6:45 PM! For us East Coasters this is a Godsend. Andrew McCutchen confesses that hitting at Willie Mays Field is brutal. Say it ain’t so: there is serious talk about a potential trade for Madison Bumgarner. His future with the Giants may depend on the new GM. It is very difficult to countenance the possibility that I may have attended MadBum’s final start as a Giant last Friday. A father and Giants fan who was helping his daughter go through rehab (he told me this in the first moments of our talk) and saw my Giants cap in LAX, started up a great conversation about Chris Shaw. I’ve said a few prayers for his family. A super model in a Dodgers cap at Yosemite who addressed me as “You who shall go un-named” and then proceeded to talk baseball with me from a very informed point of view and begrudgingly admitted San Francisco is awesome. A Greek mom from Montreal whose husband in Bakersfield converted her to the Giants and who loves to treat her family to games in San Francisco.